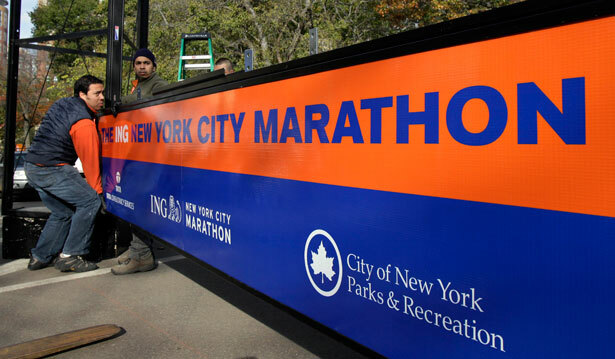 The New York City Marathon is due to proceed as planned this Sunday. In the wake of Hurricane Sandy, it should not. Being born and raised in New York City, I deeply understand the local importance of the NY Marathon. Growing up, we used to watch the “biggest race on earth” from the street, handing out drinks to the brave souls on the twenty-six-mile trek. The night before, my mother’s friends would have parties where shaggy-haired joggers would drink gallons of water and eat plates of plain pasta in preparation. In hushed tones, these glowing adults would tell us kids about Alberto Salazar, Bill Rodgers and Grete Waitz, and their near-mythic ability to master the marathon. It’s an event dear to the hearts of New Yorkers, a tender tradition in a city defined by constant change. It also, without question or delay, in the wake of Hurricane Sandy, should be postponed. Most of my family and friends in this world still live within the city borders. All are safe and unharmed, but that doesn’t mean Sandy left them undamaged. My mom is sofa-surfing because her building is without power. My buddy Alex may have lost his job because it’s taking four hours to get through the Lincoln Tunnel. My friends from Staten Island feel like they “want to die” after hearing about the two toddlers pulled from their mother and into the flood. This is no time for a race. It is unbelievable. It’s unbelievable that the NY Marathon, instead of unifying the city, is now just another example of how savage New York’s inequalities have become. Public housing projects are at constant risk of flooding. The risk of disease being spread through open sewage lines is rampant. But emergency officials, in short supply, will be pulled away to make sure that runners who cramp up around Pulaski Bridge have sufficient fluids. I still remember fondly the shaggy hippies getting ready to run the Marathon back in the early 1980s. I remember them fondly not because they could run twenty-six miles but the values of community and fair play they believed that the marathon exemplified. There is no question in my mind that they would stand with a basic notion of humanity before they would stand with this race. It’s a humanity that Michael Bloomberg seems to sorely lack. There is an online petition to postpone the marathon. Sign it here.